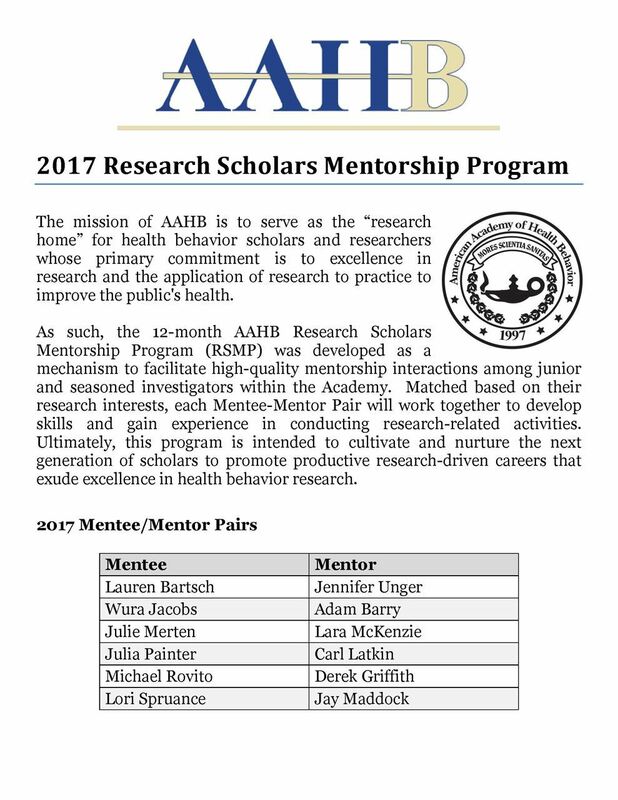 The American Academy of Health Behavior (AAHB) initiates a yearly CALL FOR MEMBER APPLICANTS for its annual mentoring initiative. 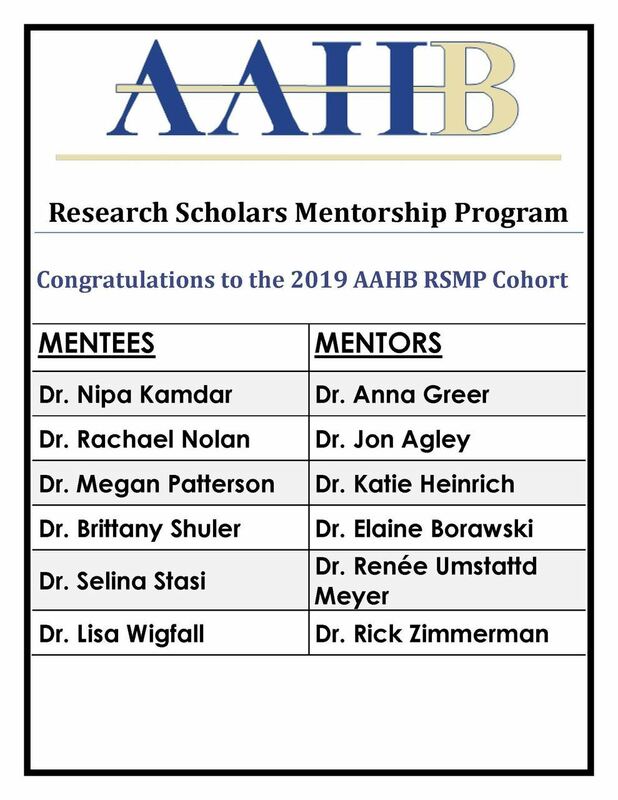 The AAHB strongly encourages your participation as a mentor or mentee in this initiative, as it offers members a fantastic opportunity to connect and work with, learn from, and support one another. The application deadline is December 31 of the application year. 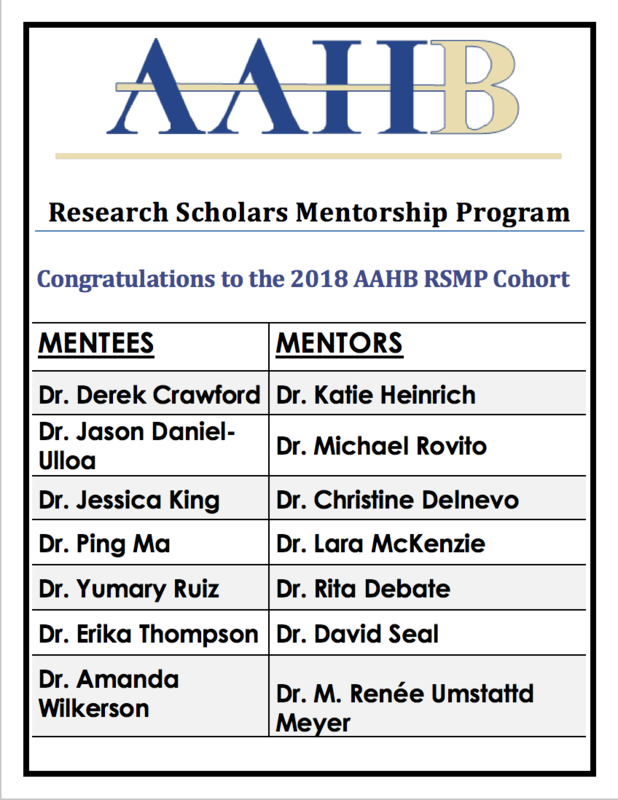 Mentor-mentee pairs are officially recognized at the AAHB annual scientific meeting, and benefits to mentees include reduced registration fees. Applications: Will be posted summer, 2019 for Class of 2020! 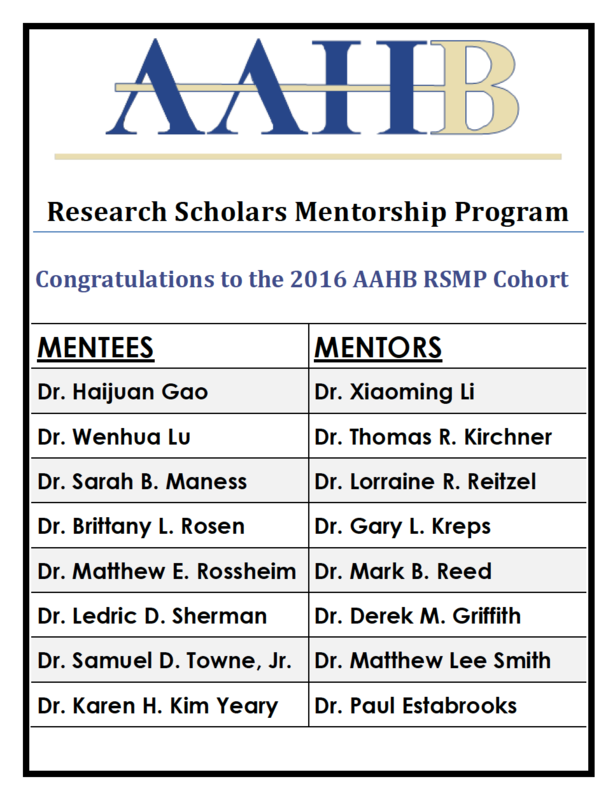 Congratulations to the 2016 AAHB Research Scholars! Congratulations to the 2015 AAHB Research Scholars!